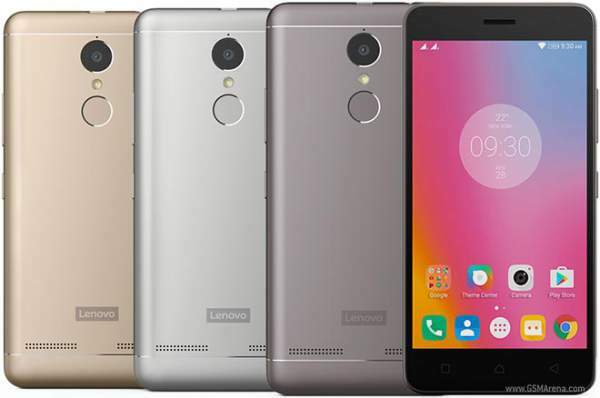 Lenovo K6 Power next sale on Flipkart is on 7th February 2017, today as per the latest news. K6 Power price, as of now, is Rs. 9999 and it is available in three color options – Gold, Grey, and White. The Chinese tech giant will hold the upcoming flash sale Tuesday at 12:00 noon. In the first deal, Lenovo came with a few exclusive offers and discount with its latest smartphone. The company gave the Moto Pulse 2 headphones at Rs. 499 (worth Rs. 1499) if bought with the phone. There was an exchange offer too in which up to Rs. 8000 could get discounted. Moreover, the firm gave away gift vouchers worth Rs. 10000 to 100 lucky customers (those who had signed up with “Notify Me” feature on Flipkart. Check: Xiaomi Redmi 3S and Redmi 3S Prime Sale on 4th January 2017. The latest phone of Lenovo sports a metal unibody design. On the top and bottom, it has antenna bands while dual speakers are present at the back. It is powered by a 4000 mAh battery and company calls it a focused battery phone. Before it, Lenovo has already launched a K6 Note with a bigger display, and a standard K6 smartphone. The battery is the highlights of the smartphone. The firm boasts of having a standby time of 649 hours and says that it would keep on running 3-4 times than the normal on ultra-power saving mode. The phone has Dolby Atmos sound mode which supports its own TheaterMax technology. With its help, the users can view the content in a 360-degree theater style mode. However, they will be required to use ANT VR headset in this mode. Lenovo K 6 Power specification include a 5-inch FHD display, comes with Qualcomm Snapdragon 1.4 GHz Octa-core 430 chipset/processor coupled with Adreno 505 GPU. It sports 3 gigs of RAM and 32 gigs of internal storage which can be expanded up to 128 GB. On the connectivity front, it is 4G VoLTE enabled smartphone which operates on Android 6.0 Marshmallow with Pure UI on top. On the camera front, it has a 13MP rear camera with 1080p recording while a 8 MP on the front side.